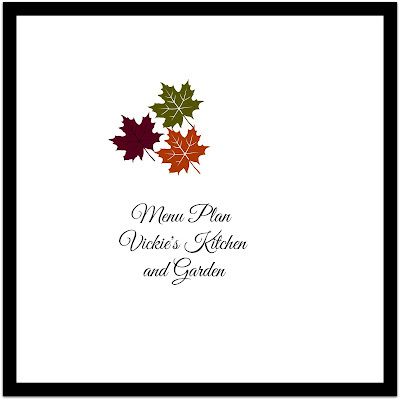 Vickie's Kitchen and Garden: Menu Plan for This Week 12/11/17! Menu Plan for This Week 12/11/17! With the forecast calling for more snow and cold I tried to think of all the warm hearty meals I could this week. You know those heavy meals that stick with you and warm you up. Yep, after some lovely weather this Fall we are officially wimps. We have to build up a tolerance soon because you know the grand kids will want to go sledding if there is enough snow. Brr! Today I'm making tator tot casserole. It's always fun and I hope the grandson will love it. It will be his first time tasting it and you just never know. My Menu Plan for this Week 12/11/17! Menu tip: Cook with the seasons. Winter dinners here are very hearty!